This clean brightly colored poster of the GID phases will add a pop of color to your library or classroom walls. While keeping you on track with the process, this poster provides an anchor chart for students learning in the GID context. 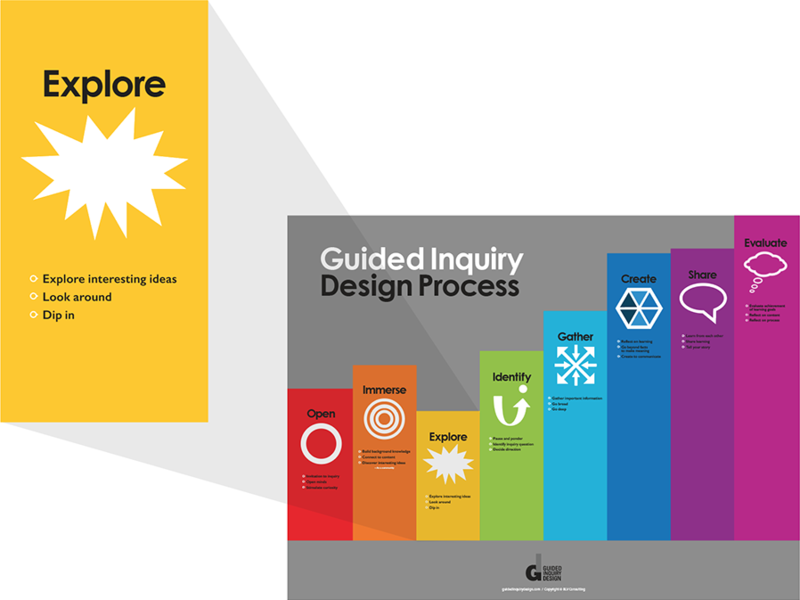 The eight phases in Guided Inquiry Design process represented were created by Carol C Kuhlthau, Leslie Maniotes and Ann Caspari – Open, Immerse, Explore, Identify, Gather, Create, Share and Evaluate. This Poster is a companion to the Guided Inquiry Design® workshops and books. The downloadable files are available in two convenient sizes for printing.